I’m going to post a single photo each day for the next week. 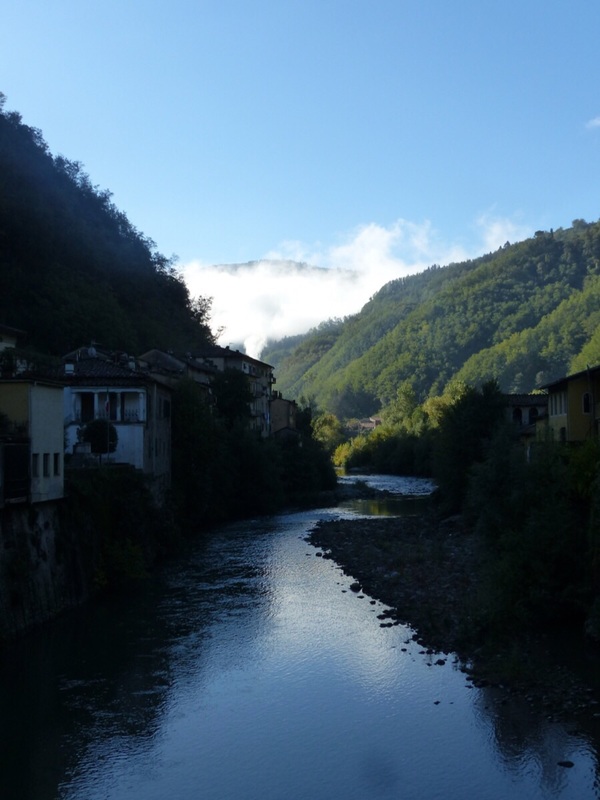 Here is Monday’s photo…early morning at Ponte a Serraglio. This entry was posted in The villages of Bagni di Lucca and tagged Bagni di Lucca, early morning, Italy, Lima River, photography, Ponte a Serraglio, travel by Debra Kolkka. Bookmark the permalink. So beautiful it only needs one photo. I was up and about quite early on a beautiful morning. Can almost feel the chill of the early morning mist in this photo with the promise of warmth later in the day…. It is cool in the mornings and evenings now. Autumn is well underway. We must meet one day, somewhere. Lovely! I’m looking forward to seeing the rest of the week’s photos. I have lots of gorgeous photos of Bagni di Lucca. I am enjoying experiencing the sheer pleasure of having beautiful vistas and the signs of Autumn – your vista is very beautiful. Getting ready for cappuccino and a ricotta sfoglia?